Maximo Margarita at Cafe Herrera. Photo Credit: Joseph Haubert. Last year, Dallas staked its claim as the "Official Home of the Frozen Margarita" by launching the Margarita Mile - a curated collection of the best and most brazen margaritas across Dallas' unique neighborhoods, all collected in a colorful mobile app. Dallas' history with the frosty concoction dates back to 1971 when the first frozen margarita machine was in- vented by local restaurateur and living legend Mariano Martinez. That original frozen margarita machine now lives in the Smithsonian National Museum of American History. Nearly 50 years later Mariano's Hacienda in East Dallas is still dishing out these sweet and tart frozen cocktails. 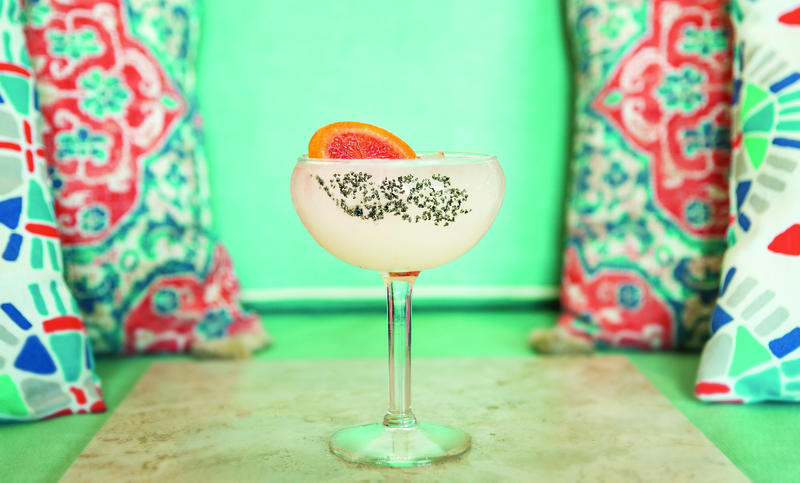 The margarita has become so imbedded in Dallas culture you can find them just about anywhere - from traditional Tex-Mex spots to upscale Japanese restaurants, swanky cocktail bars and beyond, in a dizzying array of flavors and preparations. 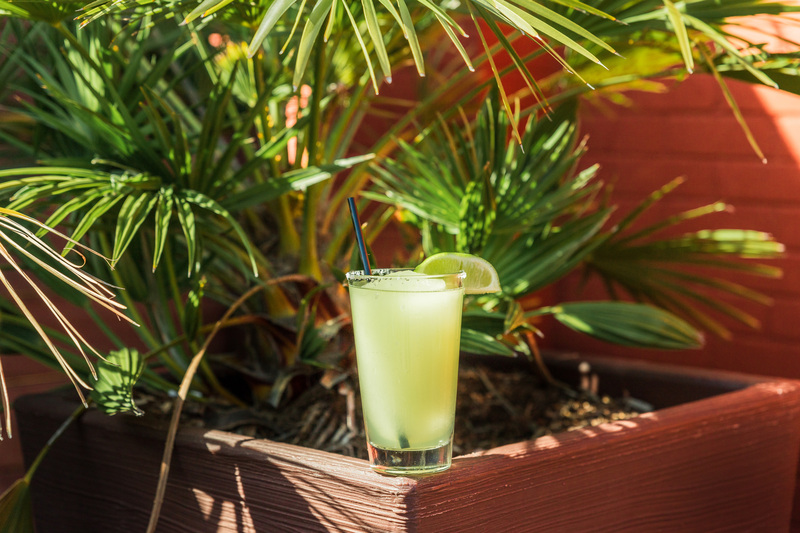 The Margarita Mile includes delectable variations with infused tequilas, liquid nitrogen, house-made syrups, fresh herbs and even popsicles dunked right in. 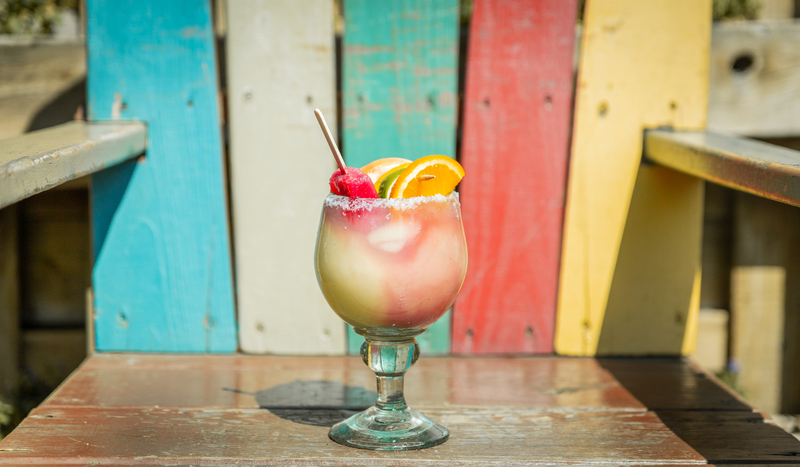 The Margarita Mile app takes users on a curated tour of Dallas' unique drinks. As users taste their way along, using the app to check in at each location, they rack up points that help them earn fun gifts. Since launching one year ago, the Margarita Mile has changed how visitors experience Dallas. 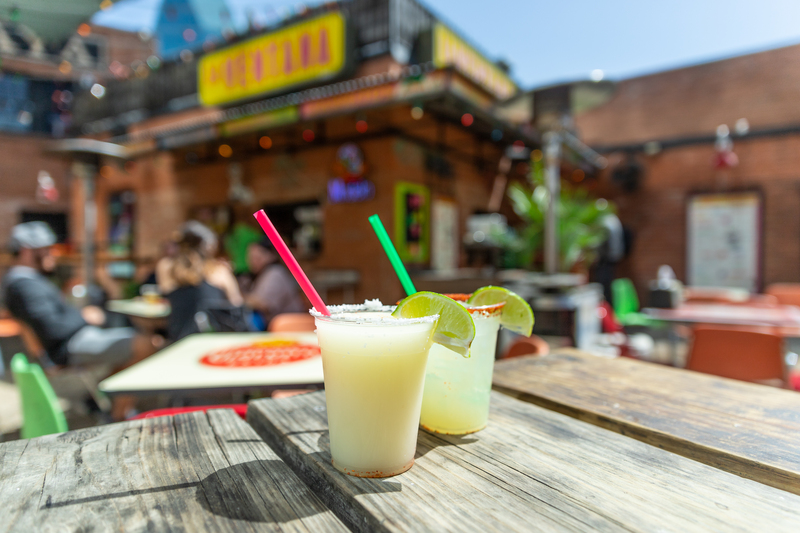 One couple from Colorado City, Texas, discovered the Margarita Mile in an issue of Texas Monthly magazine and planned an entire getaway around the self-guided tour. Another group, girlfriends from Chicago, read about the Margarita Mile and hopped on a plane to experience it for themselves. For them, it was more than a weekend of drinking cocktails - it was a unique way to see a different side of Dallas. This colorful and user-friendly app is a jumping off point to discover neighbor- hoods all over Dallas, from East Dallas to Deep Ellum, Uptown to Downtown. The app encourages locals and visitors to step outside the norm to discover only-in-Dallas restaurants and bars. The historic McKinney Avenue Trolley runs through the heart of Margarita Mile territory. The trolley, or M-Line, starts in the core of Uptown and travels through Klyde Warren Park and into Downtown, making a full loop. Grab your phone, catch a ride on the free trolley and enjoy a safe, car-free day along the Margarita Mile with these eight stops. The Rimy Rita at The Rustic. The ultimate patio experience under the Texas sky, the Rustic also brings one of the most unusual frosty drinks to the Margarita Mile. The Rimy Rita combines Dulce Vida Lime, raspberry liqueur, Cointreau, a sangria popsicle and a frozen margarita. The Insta- gram-worthy drink pairs perfectly with the Rustic's famous live music. This McKinney Avenue favorite is not your average margarita hangout, but instead an upscale cocktail bar meets relaxed local pub. Serving up quality libations and comfort cuisine, the Summertime Sadness is not to be missed. This margarita fuses Espolon Blanco tequila, jalapeño, mint, cilantro and lime to create the perfect hint of Texas heat. Roca 'Rita at Tipsy Alchemist. 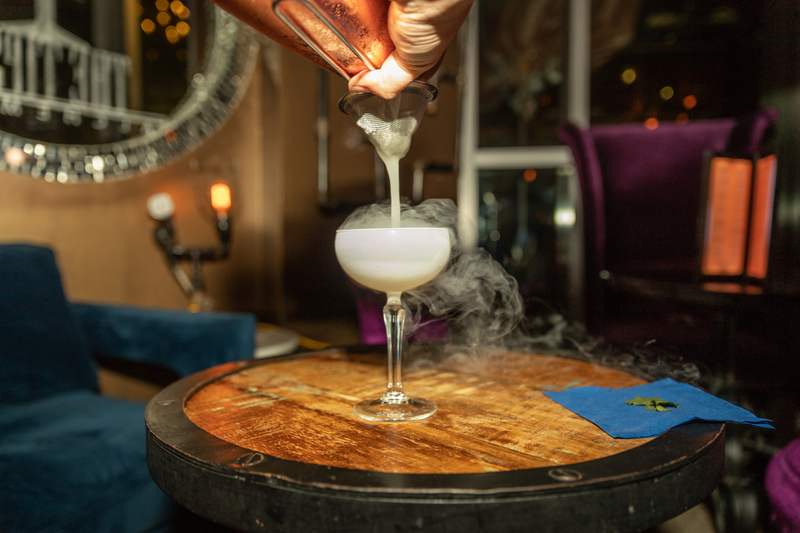 This swanky lounge elevates the average cocktail experience, mixing together science, art and technique. Don't be surprised to see drinks served in repur- posed lightbulbs or smoke coming from your glass - like in the exclusive Roca 'Rita. An off-menu drink created espe- cially for the Margarita Mile combines Piña Loca tequila, triple sec, jalapeño reduction, nitrogen, cilantro, fresh lime juice and Peychaud's bitters. Chef Dean Fearing is synonymous with Texas and his cocktails never disappoint. Dean's Margarita is the definitive classic. With ingredients hand-picked by Chef Fearing, it features Patrón Añejo tequila, which contains a blend from two different barrels exclusive to Fearing's. Damiana, a flowering shrub native to Texas, gives the cocktail herbal and floral notes, while also giving the drinker a boost of vitality, and finally, the margarita is sweetened with agave nectar and shaken with housemade sweet and sour. Original Margarita at El Fenix. El Fenix is a tried-and-true Tex-Mex star in Dallas. In its 101st year, El Fenix pairs fan favorites, like their cheese enchiladas, with margaritas as rich as their history. You can't leave Dallas with- out sipping their "Original" El Fenix Margarita. You pick - frozen or on the rocks - there's no wrong answer. This Uptown oasis boasts a food and drink menu inspired by all the states of Mexico, using only the freshest ingre- dients. The margarita menu features unexpected flavors, from the refreshing avocado margarita to the classic De La Casa margarita, which can be served on the rocks or frozen. Best part - it is topped with Oaxacan sea salt. House margarita at La Ventana. This funky, casual taqueria is an open-air concept offering authentic Mexico City street food from small tacos to elotes (Mexican grilled corn), and a margarita so good it is the only one on the menu. Served frozen or las rocas (on the rocks), it is a classic that pairs perfectly with patio weather and friends.